Starting my master’s degree this year has turned me into a frequently fatigued juggler of tasks, but sometimes I still design things just for fun. 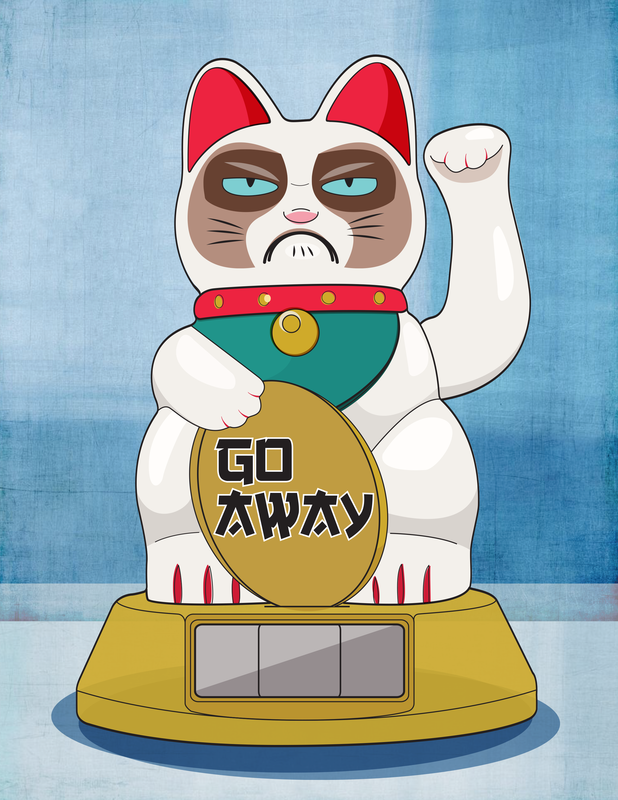 I drew this in Adobe Illustrator last summer after I was simultaneously inspired by Grumpy Cat and a solar-powered, paw waving, Good Luck Cat that I picked up in Chinatown. I spent five hours doing stats homework today; I needed to express myself somehow.